If you design and develop WordPress themes you may have considered using a WordPress theme framework rather than creating themes from scratch. Frameworks offer significant benefits to developers and users, but for those who have not used frameworks in the past the thought can be a little intimidating and confusing. In this article we’ll take a detailed look at theme frameworks: what they are, why you might want to use one, the different types of frameworks, and the leading options. 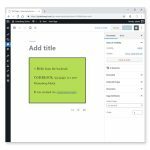 One of the reasons that WordPress’ popularity grew so quickly several years ago is that designers and developers can create templates/themes rather quickly and easily. Learning how to work with WordPress to create a custom design is fairly easy, especially when compared to some of the other leading content management systems that were popular when WordPress was up and coming. While it’s not difficult for a designer/developer to create a theme from scratch or customize and existing theme, there are some significant benefits in terms of efficiency to using a framework. WordPress themes can use a parent-child relationship where the parent theme provides the functionality and the child theme provides the visual styling. This is how frameworks function. The framework includes the code for the functionality, and the designer or developer can create a child theme that will use custom styling. 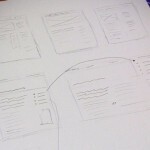 From a visitor’s perspective the site may look 100% custom, but the functionality may be powered by a theme framework. (Some frameworks don’t technically use a parent and child theme, but they do separate the functionality and the style.) There are a number of benefits to working in this manner, and we’ll cover them in the next section. Why Use a WordPress Theme Framework? If you have been designing and coding custom themes for your own sites or for clients you may wonder how you would benefit by using a framework. Here are some of the most significant ways. One of the biggest benefits to using a framework is that it can reduce the amount of time that it takes to code a custom theme. Because the framework already includes the core functionality you will save time by not coding everything from scratch. 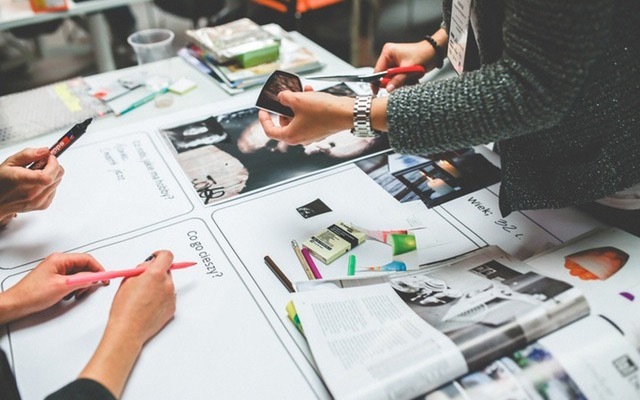 Much of the work will involve styling the content to fit the design, and you may also need to do some custom coding to meet the specific needs of each project. Working with a framework will involve a bit of a learning curve. At first you’ll need to learn the details of the framework and get familiar with it. But once you’ve worked with the framework a few times it can drastically reduce the amount of time that it takes you to code themes. If you’re a designer/developer and you work on a lot of custom themes for clients, the time savings can be huge. Because using a framework can reduce the amount of time needed to develop a custom theme, it can also reduce the cost associated with development. If you’re doing client work this means that you can either reduce your fees once you’re comfortable with the framework and you’re working faster, or you can keep your fees the same and make more profit as a result. For end users, hiring a developer to create a child theme for a framework will often be less expensive than hiring the same developer to create the same theme from scratch. Some frameworks will even have a list of recommended designers/developers who are experts at working with their framework, so this is a good place to start if you know what framework you want to use. Another major benefit of frameworks and child themes is the upgrade and update process. If you’ve used WordPress for any length of time you know that new versions and security updates are released frequently. 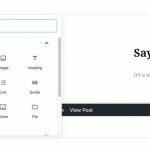 In some cases the WordPress update may require a theme update in order to function with the new version of WordPress, or to add some specific feature that is a part of the new version. Aside from those types of theme updates, themes may also need to be updated from time-to-time to fix bugs or make other types of changes. The updating process is much easier with a framework because you will simply update the framework itself, and you won’t need to make the changes to the child theme. If you’ve ever used a free or premium theme and customized it by making changes to the theme files you have probably regretted it when it came time to update the theme. If you customized the theme files updating to the new version of the theme will overwrite those customizations. Your options then are 1) to not update the theme, which may create security issues or may break certain functionality when the upgrade is needed, or 2) you can upgrade the theme and re-do all of the customizations on the new version of the theme. Neither option is very good. If you’re using a child theme to make your customizations this can be avoided. Frameworks will need to be updated occasionally, but since the child theme is what controls the styling of our site, all you need to do is simply update the framework. You won’t need to re-do any customizations that you made, and you won’t need to avoid updating because of extra work or risk that is involved. 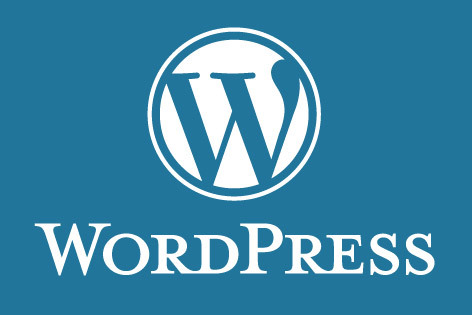 WordPress’ popularity is in part due to the massive community of users and developers. There are thousands of themes and plugins available, many of them for free. You can find documentation, tutorials, and even code samples for just about anything you can imagine. If you need to hire a professional, there are plenty of developers who are experts with WordPress. Just like WordPress has its community of users and developers, popular frameworks also have their own community as well. This means that finding information on how to do something with the popular Genesis framework is often possible with a simple Google search. There are also plugins and child themes created for specific frameworks. The end result is a better experience for those who are working with the framework. Each framework will vary, but typically you’ll benefit from some of the built-in functionality. This means that as a developer you won’t have to code everything yourself, and as a user you’ll get some useful functionality without needing a developer to create it for you in your custom theme. In some cases the functionality may be added with the help of a plugin created specifically for the framework rather than having the functionality built in to the framework’s core. An example of this is the eNews Extended plugin for Genesis. 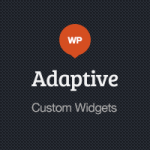 With the plugin you can easily add opt-in forms for your email list using widgets. The leading frameworks like Genesis and Thesis have a reputation for being well coded. Whenever you are using a free theme, buying a premium theme, or hiring a developer to create a custom theme, the quality of the code will matter to the functionality and performance of the site. The code can even impact your search engine rankings. One of the problems with the WordPress theme market being so huge is that there is a very wide variety in terms of code quality from one theme to the next. If you stick to the leading framework providers you can avoid the problems that come along with a poorly coded WordPress theme.We’ll look at the leading options near the end of this article, so you’ll find several choices. There are free and premium frameworks available, but if you choose to buy a framework you will benefit from the customer support provided by the creator or seller. Support for a framework probably isn’t something that you will need very often, but when a need does arise it is nice to be able to get professional support. Some of the leading theme frameworks are popular in part because they offer the end user a lot of customization options without the need to edit any code. For users who are not designers or developers, this functionality can be very attractive. Later in this article when we look at some specific frameworks we’ll get into more details about the customization options that they offer. When it comes to choosing the right framework, you will first need to know what type of framework you need. 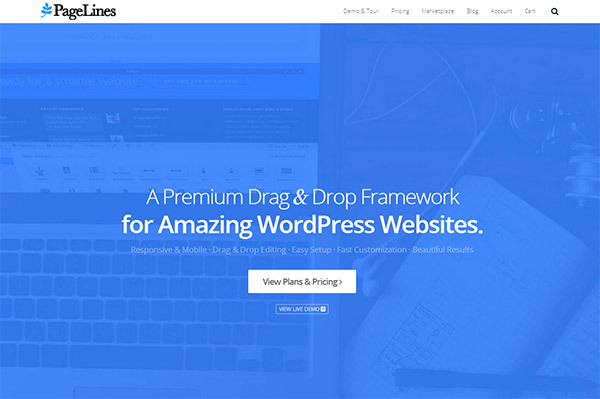 There are some WordPress theme frameworks that are available for free. In general, the free options will be less robust then the frameworks that you will need to pay for, but some of the free ones are of good quality. Options like Hybrid Core and Thematic have been very popular for several years. 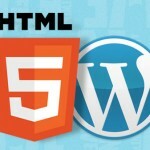 Most of the leading WordPress theme frameworks must be purchased. While it may sound better to use a free framework, there are some advantages of using a premium framework. The most significant advantage is that leading premium frameworks are constantly being developed and improved. Free frameworks may occasionally be updated by the developer, but if they are not generating revenue for the creator they are not as likely to be maintained and improved in the future. Genesis is the flagship product of StudioPress, and so you can be sure that it will continue to be updated and supported because it is making a lot of money for the company. There is a great deal of security that goes along with purchasing one of the leading frameworks. Aside from the continued development, premium frameworks will also come with support. With a free framework you may be able to get some limited support from the developer, but it won’t compare to the type of support that you can get from the makers of a premium framework. The good news is that premium frameworks can be priced very reasonably. The Genesis framework sells for just $ 59.95, and you can use it on an unlimited number of sites, including client work. That price is not a yearly license fee, that is a one-time price. If you’re using Genesis on a number of different sites it becomes a really low price. In order to get the most out of a framework you probably will want to use it on a number of different sites in order to get past the learning curve, so for many developers the price of Genesis is extremely affordable. Not all frameworks will be priced that low (we’ll take a look at pricing later), but with the industry leader being very affordable it shows that price shouldn’t be the main reason to avoid using a framework. In recent years the number of WordPress themes and frameworks that offer advanced customization has sky rocketed. Several years ago if you bought a premium theme you might have a couple of options to customize the look of the site, but nothing too significant. Now many themes and frameworks target non-developers who want to have control over the look of their site without the need to code. Each framework will offer it’s own functionality in this area, but a growing number of them allow for advanced customization without coding. Design customization is a primary feature of leading frameworks like Headway and PageLines. Other frameworks like Thesis also offer a lot of customization and some drag-and-drop layout and design options. 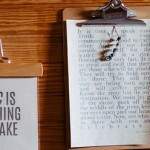 All of the frameworks mentioned here are premium and must be purchased. Not every framework provides drag-and-drop design or layout customization. Some, like Genesis, are more targeted towards developers. If you’re not comfortable coding a child theme or hiring a designer/developer to do it for you, this type of framework is probably not the right fit for you. But if you are a developer that creates themes for clients and you want a dependable framework that can help to speed up your development process, this may be the best option. Now that we’ve looked at a lot of details surrounding theme frameworks, let’s take a look specifically at some of the leading options. Genesis has been mentioned a number of times already, and it is the framework that I have the most personal experience with personally. 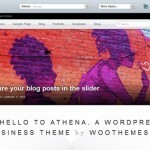 StudioPress has a great reputation in the WordPress community, and Genesis is known to be very well coded and search engine friendly. In addition to Genesis, StudioPress also offers a wide selection of child themes to be used with Genesis. Because of the popularity of Genesis, you can also get 3rd party child themes from other developers, and there are plenty of developers that are available for hire on Genesis-related projects. If you buy the Genesis framework by itself it comes with the basic child theme, so it can be used right out of the box with no other child theme needed. The basic child theme is also a great starting point if you want to learn to create your own child theme, or if you just want to make some minor customizations. Genesis does not include all of the drag-and-drop functionality of some of the other frameworks, but it does offer one, two, and three-column layouts, sidebars on either side, responsive layout or fixed width, custom backgrounds, custom headers, and custom menus. The price of Genesis is $ 59.95, which allows for unlimited use, unlimited access, and unlimited support. For developers who use Genesis on a number of different sites it is an incredible bargain. 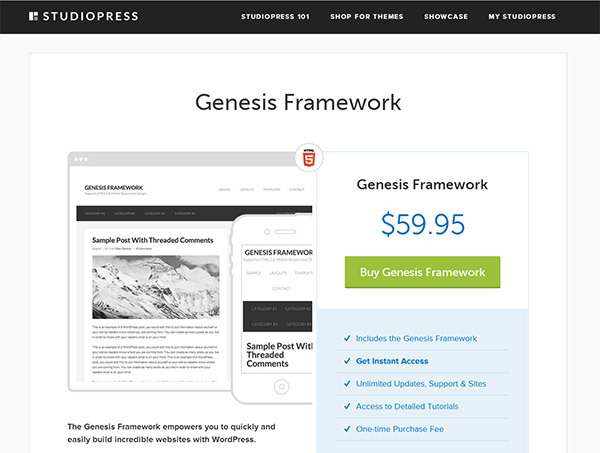 The Genesis framework can also be purchased along with one of StudioPress’s child themes for $ 99.95. This also allows for unlimited use, access, and support. Buying the framework along with a child theme is usually the best option for a non-developer who doesn’t want to try to customize a child theme. Like Genesis, Thesis has been a popular option for several years and also has a reputation for being very search engine friendly. 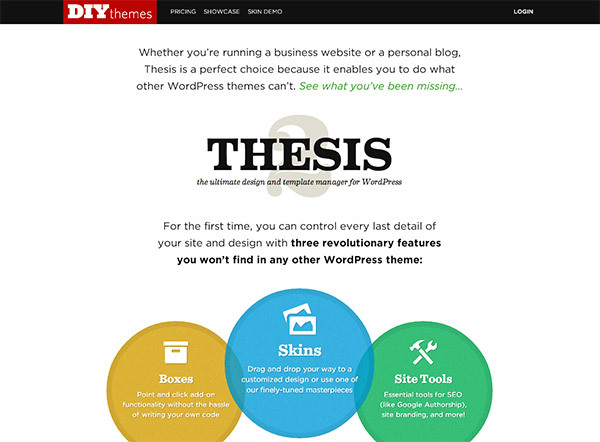 Thesis offers more customization options and uses “skins” to control the look of the site. Thesis comes with the classic responsive skin and offers a visual template editor that allows you to customize the design without coding. Thesis also uses “boxes” to allow you to drop specific functionality into your site. With boxes you can add things like email signup forms, social sharing widgets, and lists of popular posts. You can place each box where you want, customize the look, and even limit it to specific templates. Thesis comes with three different licensing options. Thesis Basic allows for use on 1 domain and comes with 1 year of upgrades and support for $ 87. Thesis Basic Plus comes with some extra skins and some email boxes for $ 164. Thesis Professional allows use on unlimited domains, lifetime updates and support, extra skins, and full use of boxes for $ 197. 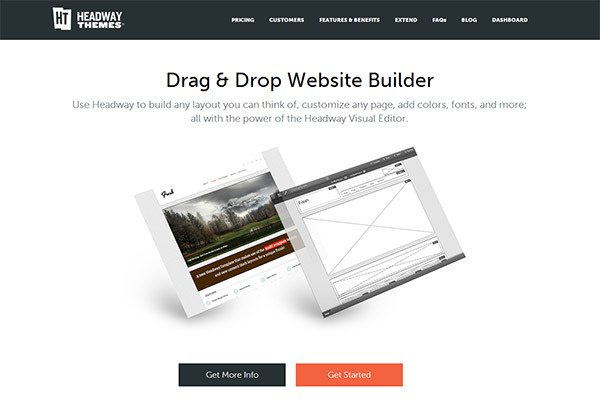 Headway was one of the pioneers of drag-and-drop customization for WordPress. It offers a visual editor that allows you to create a completely custom design without the need to code. You can use one of their templates as a starting point and then customize the look from there. You can also create custom layouts for specific pages. Sites created with Headway use a responsive layout, so it will look great on any device. Headway use “blocks” to add different types of functionality to a site, and it can be extended by using blocks created by Headway or by other users. You can use blocks for things like adding galleries, creating tabs, showcasing testimonials, and adding slideshows. There are three different licensing options. The Personal license allows use on 1 site with 1 year of support and updates for $ 59. The Business license allows use on 3 sites with 1 year of support and updates, plus 1 template of your choice for $ 99. The Developer license allows for use on unlimited sites with 1 year of support and updates, plus all templates and blocks for $ 199. PageLines is also a drag-and-drop mobile responsive framework. You have control to create unlimited page layouts, use of unlimited colors, plus fonts and animations. PageLines uses “sections” that you can drop into your pages to create your layouts. There are more than 50 different sections offered. PageLines has also been created to integrate with the WooCommerce plugin, so it can be used to create e-commerce websites. There is also a marketplace where you can extensions and add-ons from other developers that will bring added functionality to your site. Some of them are free, but many must be purchased. As a developer you can also sell your own extensions in the marketplace. PageLines can be purchased as stand alone or through a club membership. The stand alone options are priced at $ 99 (unlimited usage, 1 year of support and updates) and $ 179 (unlimited usage, 1 year of support and updates, PSD files, and developer-only features). Club membership provides you with all premium products and tools (except those from 3rd parties), 1 new extension per month, unlimited usage, plus support and updates for $ 129 upfront plus $ 20 per month. The Developer’s club membership includes all of that plus developer-only features and PSDs for $ 199 upfront plus $ 30 per month. 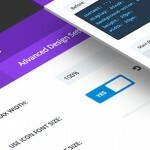 Builder is a customizable option from iThemes. 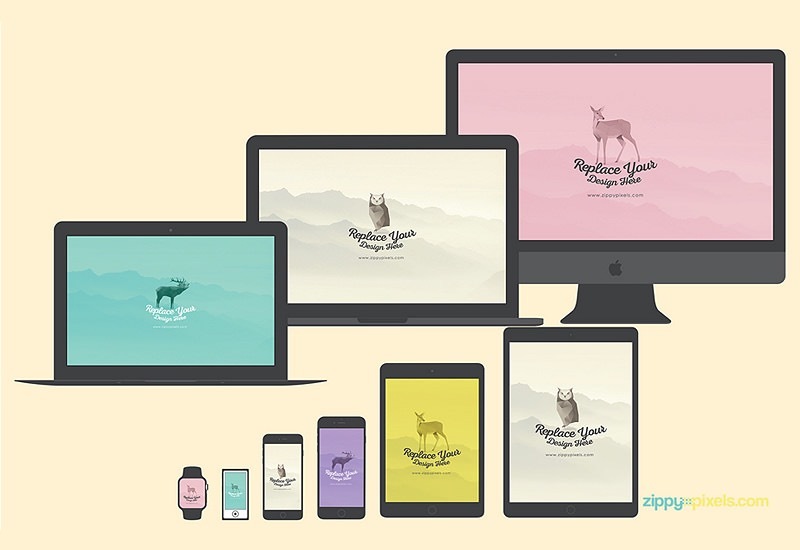 You can create custom responsive layouts without needing to code. You can insert modules like headers, images, navigation, content, widget bars, footers, and more. 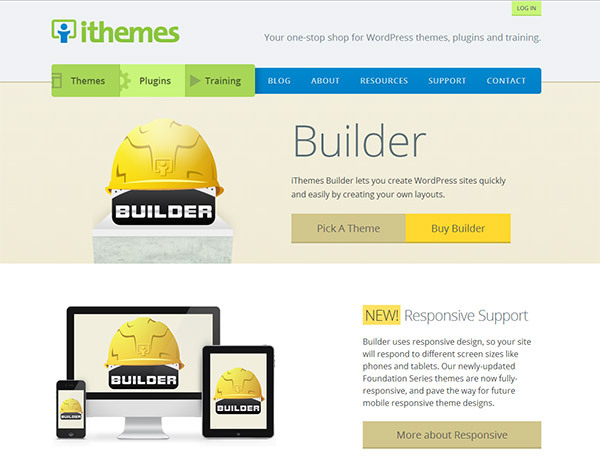 There are a number of Builder themes available that can serve as a starting point, or you can create your own. Builder’s style manager allows you to edit things like colors without touching any code. Builder also uses blocks to add different types of functionality. Builder can be purchased in a few different ways. The Foundation Pack includes the Builder core theme, 6 other themes, the style manager plugin, and 1 year of support and updates for $ 80. The Developer Pack includes all of that plus all 60 Builder themes and all new Builder themes for 1 year, plus 2 premium plugins for $ 150. The All Access Pass includes everything in the Developer Pack plus all 80 classic iThemes themes for $ 197. 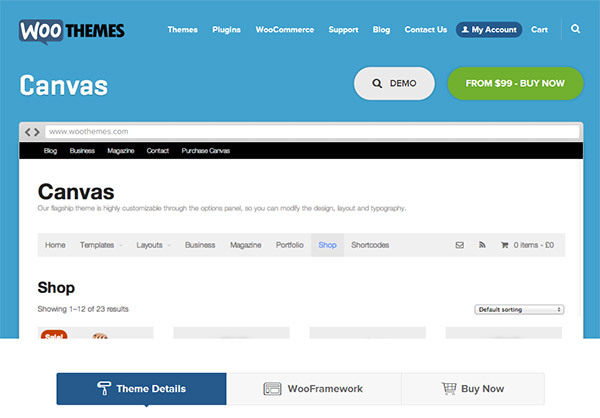 Canvas is the flagship theme from WooThemes. It can be used as is, customized, or used with child themes. You can customize the style and typography of most elements in the theme (100+ options) without any coding. Canvas uses a mobile responsive layout and you can customize the layout to meet your needs. Canvas includes portfolio functionality, custom widgets, magazine and business templates, and of course it integrates with WooCommerce. There are three different options for purchasing Canvas. The Standard license allows for use on unlimited domains plus 1 year of support and updates for $ 99. The Developer license allows unlimited domains with 1 year of support and updates, plus PSD files for $ 119. The All Themes Package includes access to all themes from WooThemes, use on unlimited domains, 1 year of support and updates, and PSD files for $ 399.